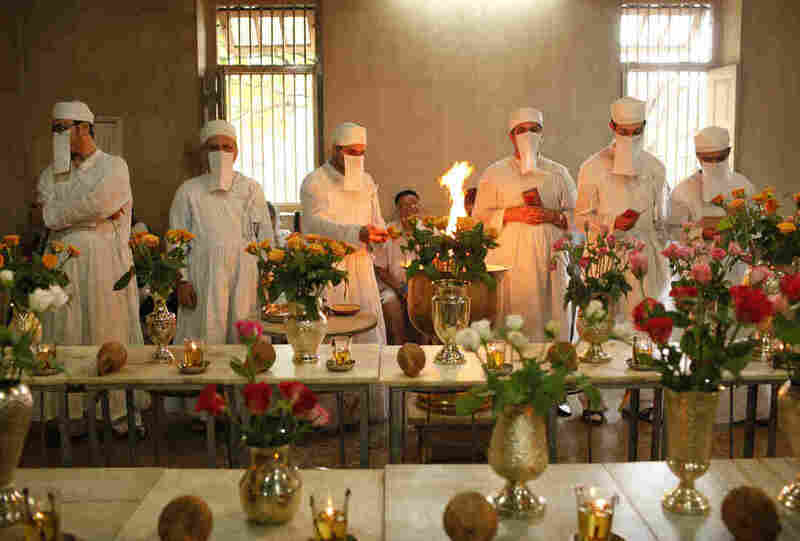 Vanishing Vultures A Grave Matter For India's Parsis Parsis brought their Zoroastrian faith, and unique funeral rituals, to India from Iran a thousand years ago. Parsis believe burying or cremating the dead pollutes nature and traditionally relied on birds of prey to devour corpses. That tradition is now under threat, due in part to a vulture shortage. 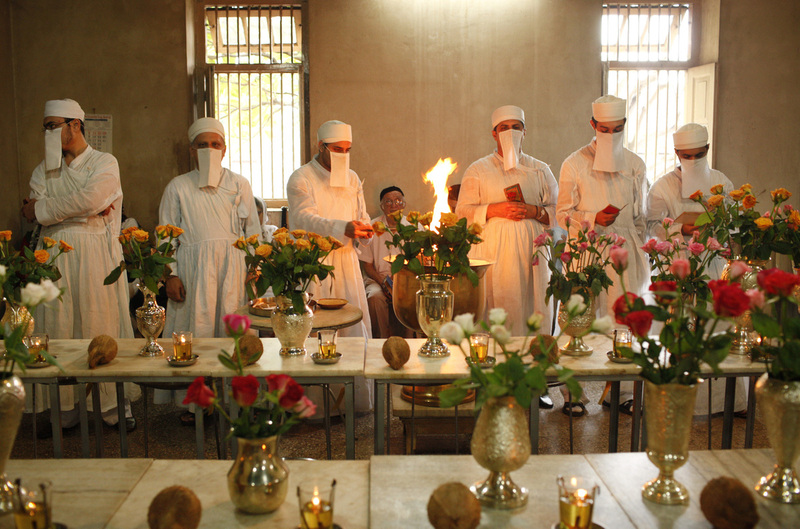 Zoroastrian priests pray to honor the dead inside a temple in Pune, India, on Aug. 18, 2010. Each of the dead is represented by a vase filled with flowers. 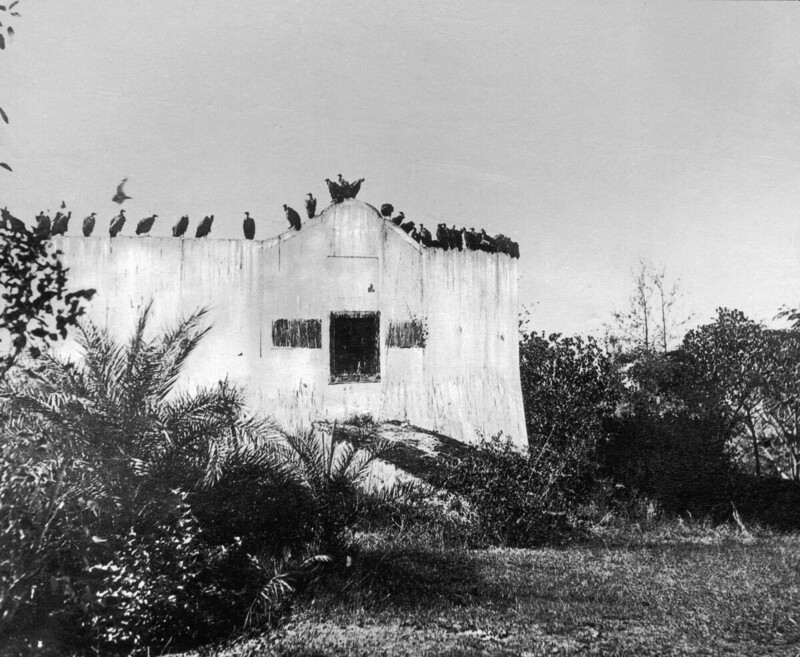 Parsis forbid images of their funeral ceremonies, where the deceased are taken to the Tower of Silence and consumed by vultures and other birds of prey. 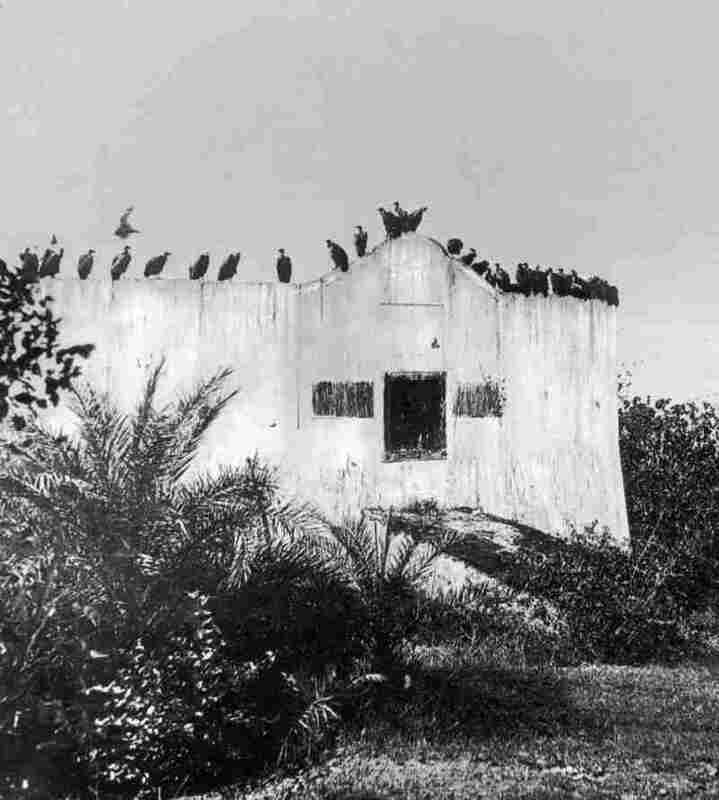 This image shows a Parsi Tower of Silence, circa 1955, near Mumbai, India. The bodies of the dead are left here to be disposed of by vultures. 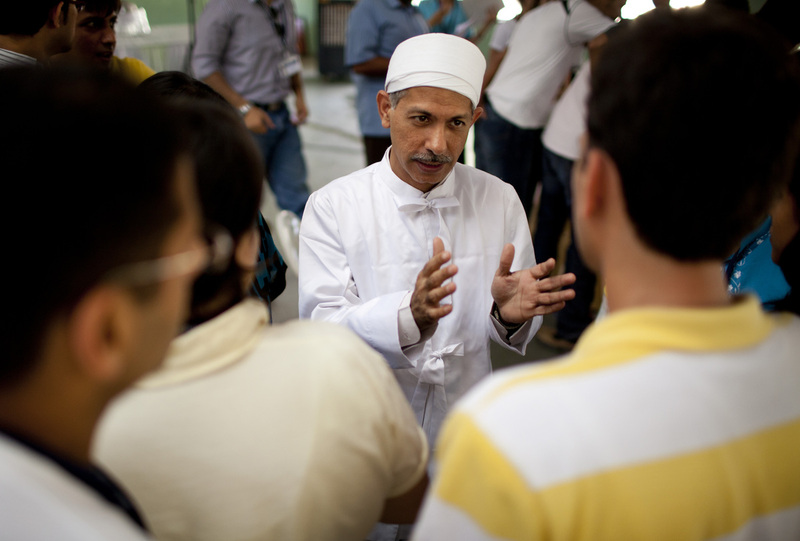 Zoroastrian priest Ramiyar Karanjia fields questions during a meeting with young members of the faith in Pune, India, on May 13, 2010. By 2007, the number of vultures had fallen by 99 percent. The disappearing vultures confounded scientists, until studies found that a drug administered to cattle in India killed the vultures when they fed on the carcasses. The Indian government banned the drug and set up reserves for the birds. The success of the program has led to a new proposal to start a vulture sanctuary in Doongerwadi. And that could make life easier for the Parsis and their neighbors, says Homi Khusrokhan, president of the Bombay Natural History Society. Even if a sanctuary is approved, it would take time before the vultures could be released into the wild. And when that happens, Parsis are hoping nature will once again take its course.